I’ve got a challenge for you. 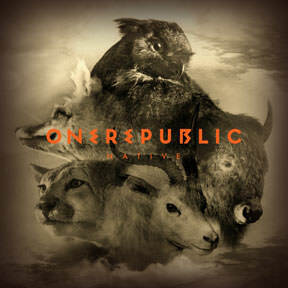 Go pick up One Republic’s “Native” CD and find the track “Love Runs Out.” Actually, that’s not really a fair challenge. First off, good luck finding a music store (not a lot of them around, are there). But if the Best Buy near you manages to stock their music section or like me you live in a town where you can find a cool “used” music store like Amoeba, you may actually be able to put your mitts on a physical CD (when was the last time you bought one of them). Trick is while the song is on the album, it’s not on the CD… huh? More on that conundrum in a bit. But as for the song, “Love Runs Out,” it’s the latest single from One Republic, a pop rock band that hails from Colorado. One Republic’s third album offering, “Native,” hit stores in 2013 and like many other listeners, I got hooked on the tune “Counting Stars,” which also frequents my running music mix from time to time. The song “Love Runs Out” hit the airwaves (or should I say the Pandora rotation) in mid-April. The first time I heard the tune on the radio (sorry, still don’t have Sirius XM) I was scrambling for my iPhone as I needed to “Shazam” it right away to find out who was responsible for this hard-driving tune. If you don’t believe me (and don’t know the song), hit play on the video and I wager you’ll be sold inside of 30 seconds. The song starts with a simple yet strong drum beat, quickly joined by some equally strong piano accompaniment. By the time lead singer Ryan Tedder starts singing “I’ll be your light…” you’ll already be downloading it from iTunes. This song will definitely be a permanent fixture on my running mix. It’s got a solid beat at the forefront for the entire song that just doesn’t quit. It pushes you. Hell, it makes you want to run. I’ll be running, I’ll be running. You’ll be running ’til your love runs out… or at least your breath. Oh, and back to the little poser from before. It seems that “Love Runs Out” was originally planned to be the first single on “Native,” but the group couldn’t come up with a suitable chorus for the song, so they left it off of the CD. One year later, they figured out a proper chorus and when they released the single they did a re-release of “Native” with the song in place. So if you haven’t picked up the album yet, you can go for the re-release. But if you have the “original” pressing of the CD (if you even buy CDs any more) head to iTunes to pick up this new track. Then put this track on your mix and go pound some pavement. Posted on June 20, 2014, in General, Training Tunes and tagged "Love Runs Out", Amoeba Records, Apologize, Counting Stars, One Republic. Bookmark the permalink. Comments Off on TRAINING TUNES: “LOVE RUNS OUT”.